As Pharaoh of Egypt, Akhenaten decided to turn into reality his dream of a better world, where everyone worshipped the same God. Pharaohs were absolute monarchs, yet Ancient Egypt was a conservative country that prized stability and continuity above all else. Would he succeed in getting an entire nation to abandon its traditional gods and goddesses? Would he find an heir willing to continue the experiment after he died? Would Egypt be able to survive as a major power with just a single deity to hold it together? Young adults will enjoy this fictionalized presentation of the lives of Akhenaten, Nefertiti, Tutankhamun, and other members of the Egyptian royal family, as they struggle to resolve the conflict between their duty to the country and their love for each other. As the story unfolds, readers will not only gain an understanding of a political and religious crisis, but also see a vivid picture of daily life in Ancient Egypt as a colorful cast of characters goes about its business. A final section, "The Historical Background", examines some of the controversies surrounding the period, and ties the events of the novel to what is actually known about the Amarna Era. The Amarna Experiment would made excellent supplementary reading for students of Ancient History. The story covers the lives of the best known family in Ancient Egypt---that of Akhenaten, Nefertiti and Tutankhamun. The story also stresses the idea that the crises of history are created by real people with real emotions, and describes the daily life of Ancient Egyptians, both within and without the palace. 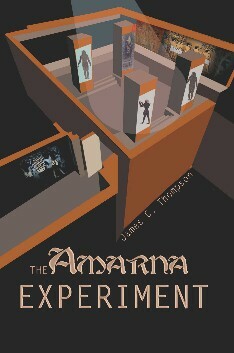 The Amarna Experiment is available in Hardcover, Paperback and Ebook formats.